On Sunday 10 September, we went on “Swim Bike Exploration”. 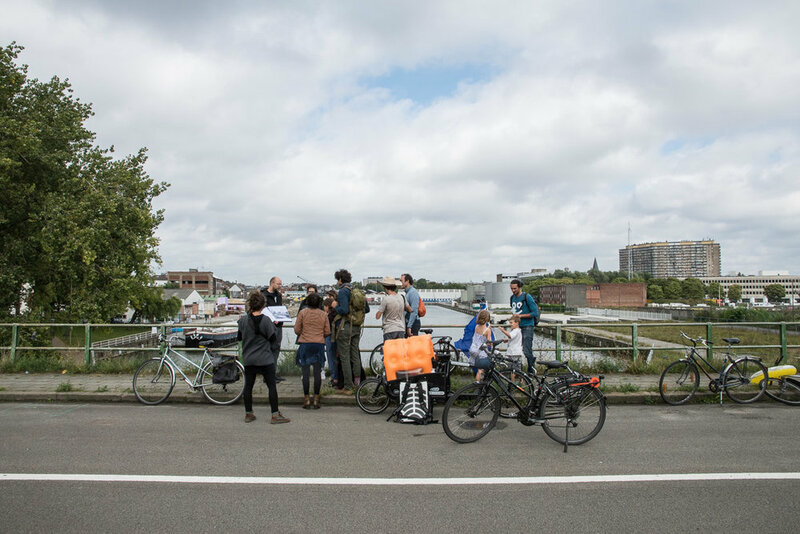 With an interested group we cycled to six places in Brussels to explore future locations for outdoor swimming in Brussels. The harbor at Biestebroeck, comparable to the situation in harbor of Copenhagen. Ready for a BIG JUMP! Place 3: the beautiful lakes at Neerpede. Dry swimming ... where is the water? Place 5: the Vergote Bassin. Place 6 and the final destination of our tour: the Heysel area. There is currently discussion about a swimming pond at this location. 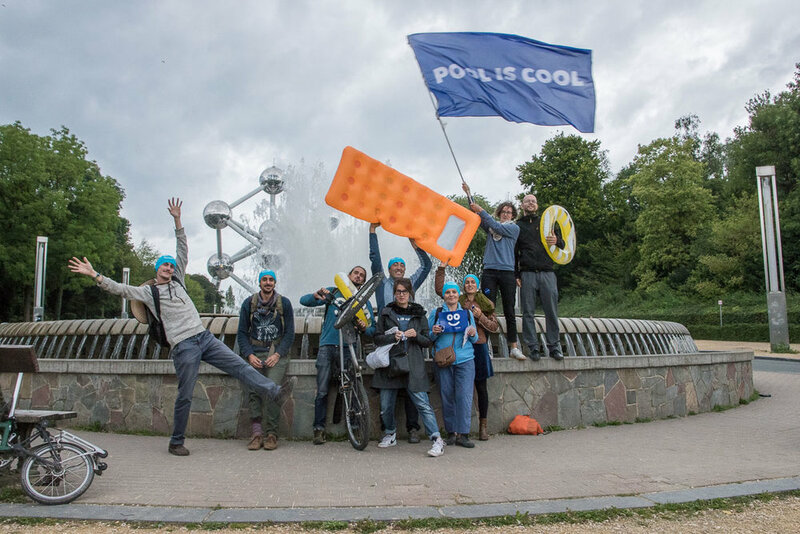 We already gave it a try in the Benelux fountain. ... or even a decent one! The "Jeanne d'Arc" of outdoor swimming! A classic open air pool for large crowds as part of the re-development of the wasteland around the Beekkant station and Gare de l’Ouest. Both are 2 of the 3 metro stations served by all of Brussels’ metro lines. 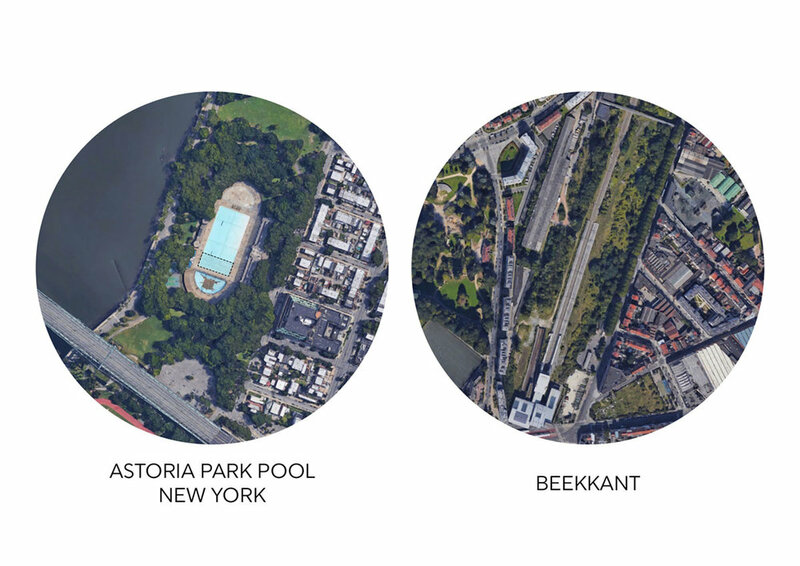 Being easily accessible from the whole region, a pool at Beekkant can become a destination of metropolitan scale. 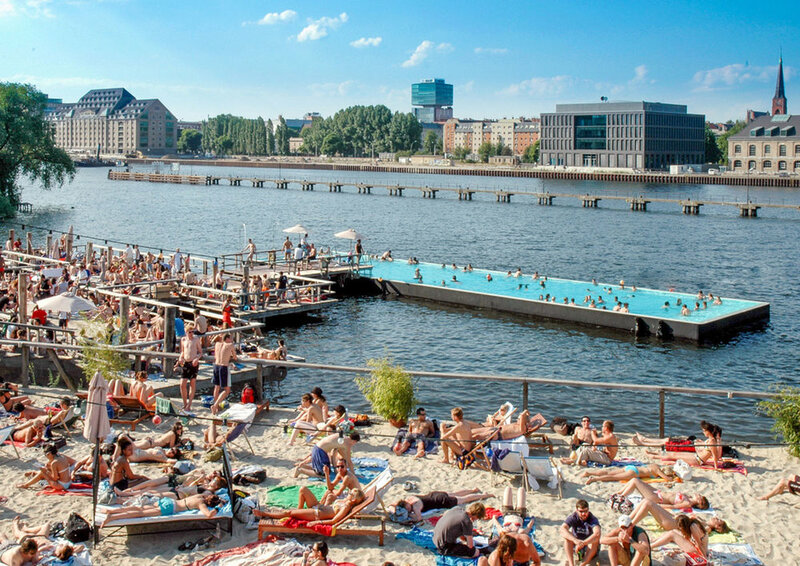 A floating pool in an old barge like the “Badeschiff” in Berlin could be installed in the Bassin Vergote at the “Monument voor de Arbeid” as it is already proposed in the design for the area around the Bassin in the framework of the Contrat de Renovation Urbaine (CRU) Vergote. 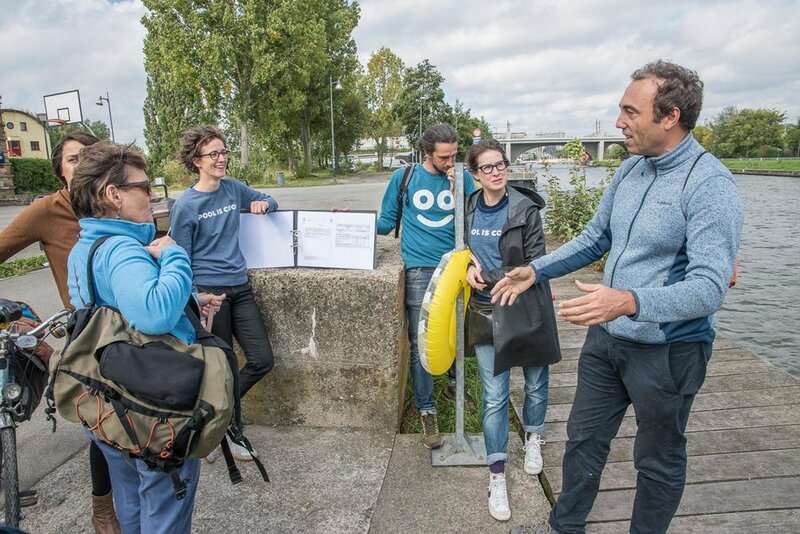 It can become part of the cultural activities around the canal with, among others, the future Citroen-museum and linked to the coming bicycle route along the water. The lakes at Neerpede can easily become natural swimming lakes with only minimal infrastructure like changing rooms and showers. The IBGE/BIM currently works on a vision for the area with a regional recreation hub of which outdoor swimming could become a part of. 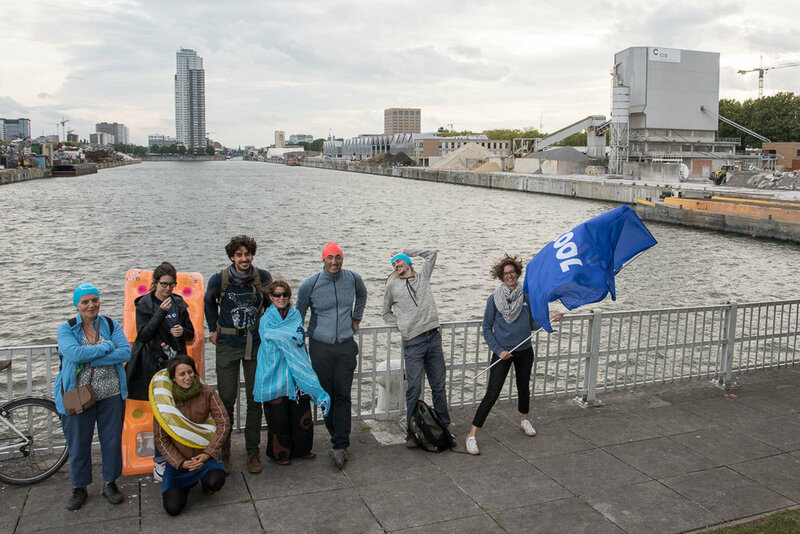 In the future the whole canal could become a swimming place, either directly in the water or in pools filled with canal water, like it is known from Copenhagen, Paris or Helsinki. In the Biestebroeck area, which is completely re-developed at the moment with hundreds of apartements and public function, swimming in the canal can become the unique feature of this new quarter once the water quality is guaranteed. The water quality test we did for the BIG JUMP at CERIA-COOVI in July declared the canal as excellent bathing water, a promising result for the future of the whole canal. The Heysel seemed for a while the first place in Brussels to become a new spot for outdoor swimming. 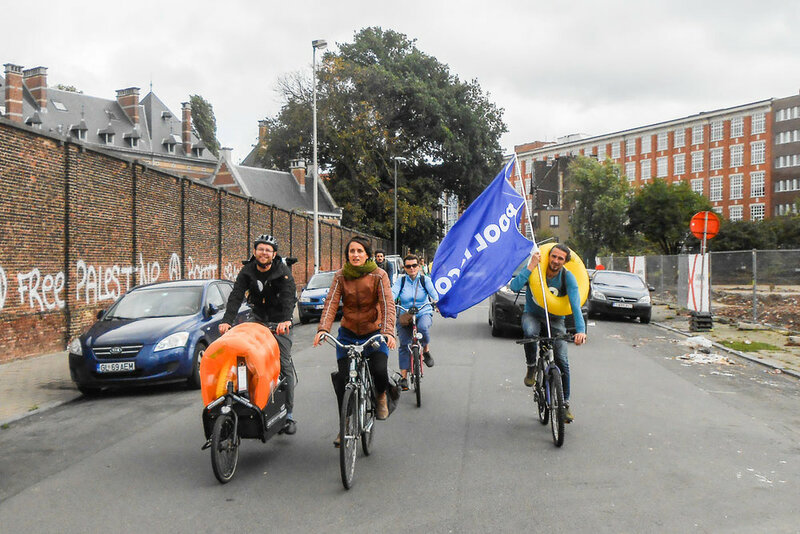 Even in the coalition agreement for the Region of Brussels a swimming pond was requested as part of the re-development of the whole Heysel area. In the latest design proposal the pond became a shallow water playground. We will closely follow up the ongoing discussion of this project, being in contact with all the stakeholders. Designed by JDS architects from ... Brussels! 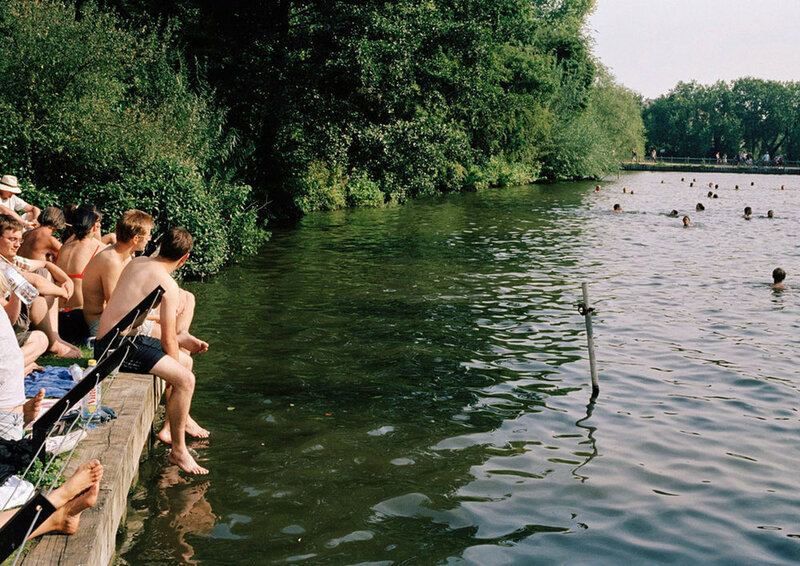 Hampstead Heath, a large park in London, with separate ponds for women and men, plus a mixed pond. Built in 1936 with 11 other pools in the same year! 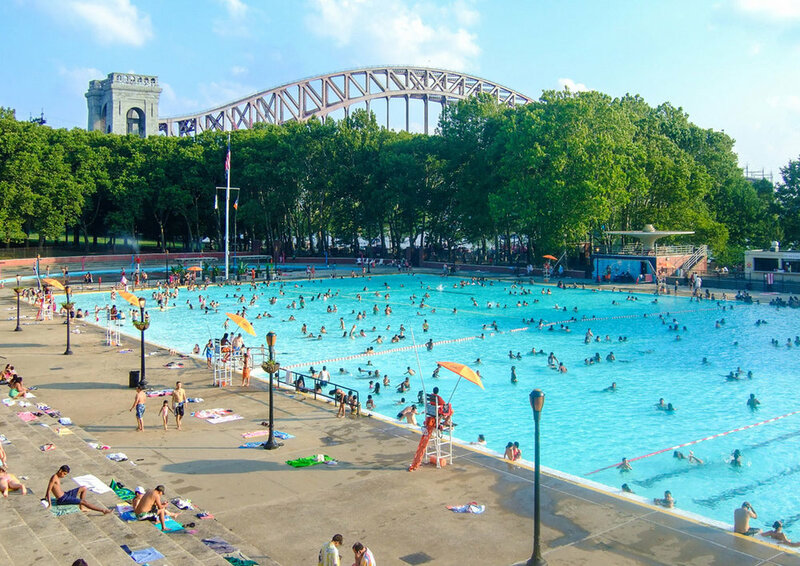 A privately run pool, floating in the river. 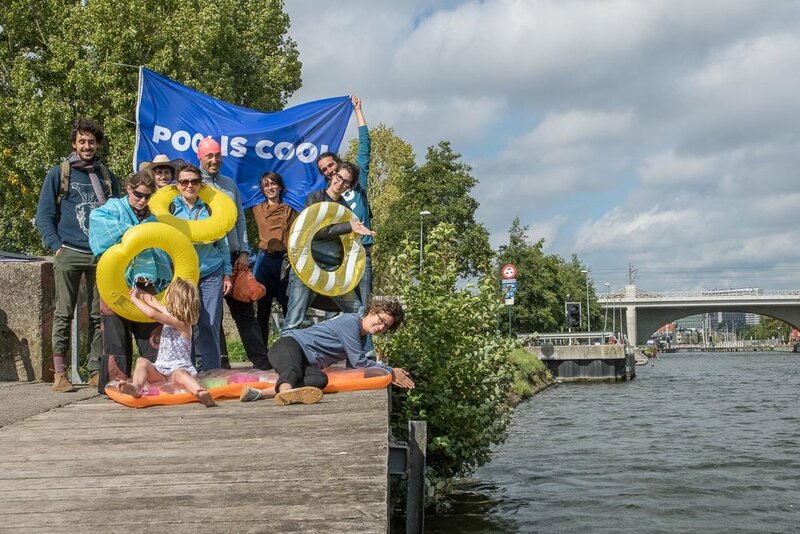 We see many more places in Brussels for public swimming! Other scenario’s, which we didn’t explore today on the cycling tour, include the installation of a biological filter in the pond at the Bois de la Cambre to make it (partly) a natural swimming pool like the ones in Antwerpen Boekenberg or Dour and a pool on the roof of the coming Abattoir buildings, using the waste heat of the refrigerating rooms for the heating of the pool, making the Abattoir a truly multifunctional public destinations. The route of the cycling tour, 22 km in 4 hours.